Atlanta is known for a lot of things but being a historically pedestrian scale city is not one of them. However, an explosion in growth since 1950, that has lead to the metropolis sprawling across much of Georgia, can give off a quite deceiving impression. A look back into old census statistics reveals a city that in 1940, had a population of 302,288 residents living within a 34.7 square mile area. With an average population density of 8,711 residents per mile, that’s on par with places like today’s Seattle, Baltimore and Minneapolis. 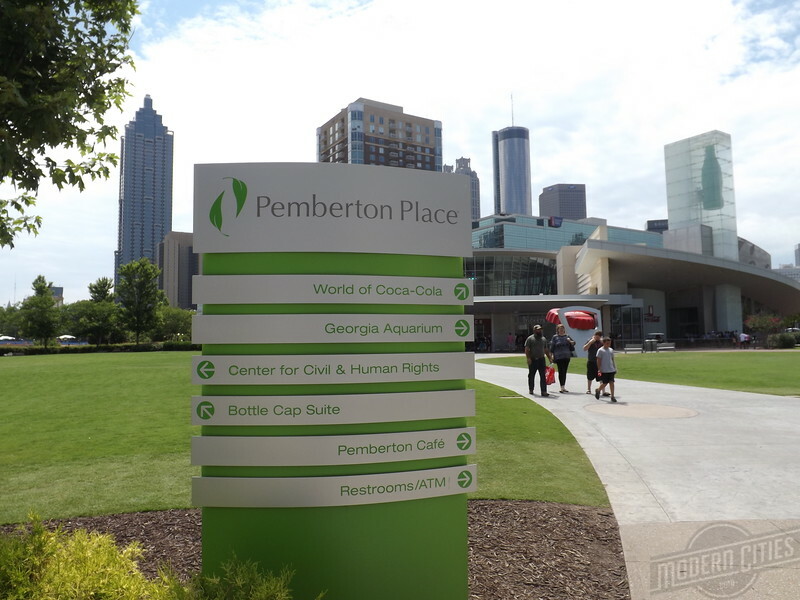 What many may not know is that much of Atlanta’s historic urban core is still standing and is in the midst of a resurgence of its own. Situated around the junction of where the Macon & Western, Western & Atlanta and Georgia Railroads once met, this district is a small slice of 19th century Deep South urbanity, typically reserved for established Northeastern and Midwestern cities. Here’s a pedestrian scale photo tour of the districts centered around convergence of the city’s five original 19th century wards. The Centennial Park District is home to downtown’s largest concentration and collection of entertainment venues. Once characterized by industrial buildings and vacant lots, the district has largely been developed since the 1996 Olympic Summer Games. 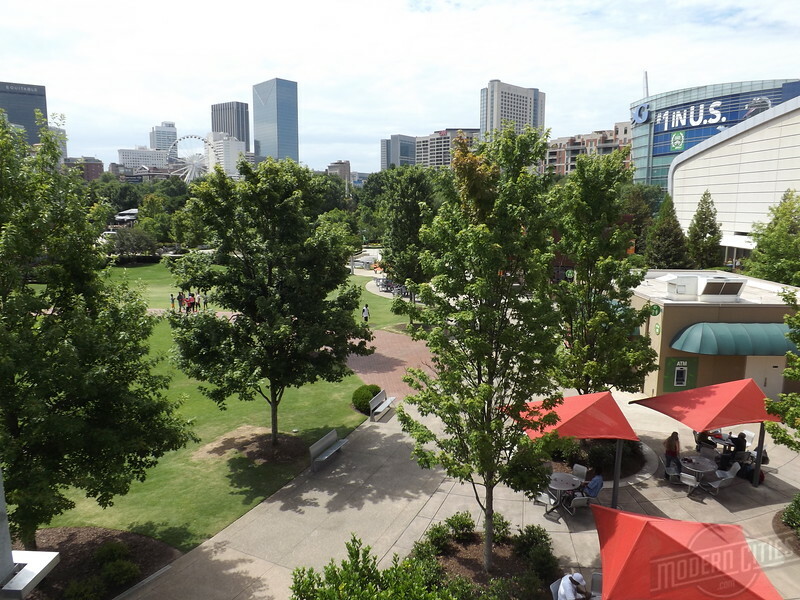 The 21-acre Centennial Olympic Park sits at the core of the district. 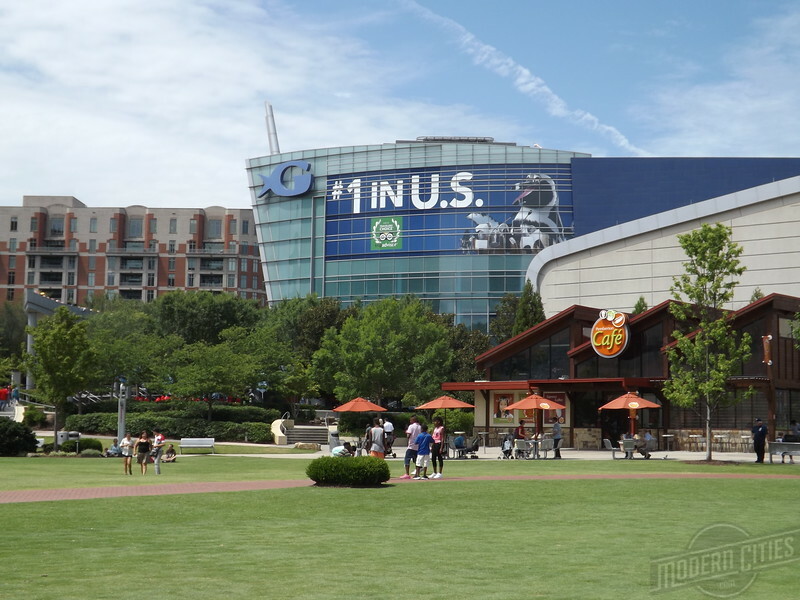 Venues surrounding the park include the Georgia Aquarium, National Center for Civil and Human Rights, World of Coca-Cola, Philips Arena, Georgia Dome, SkyView Atlanta and the College Football Hall of Fame. 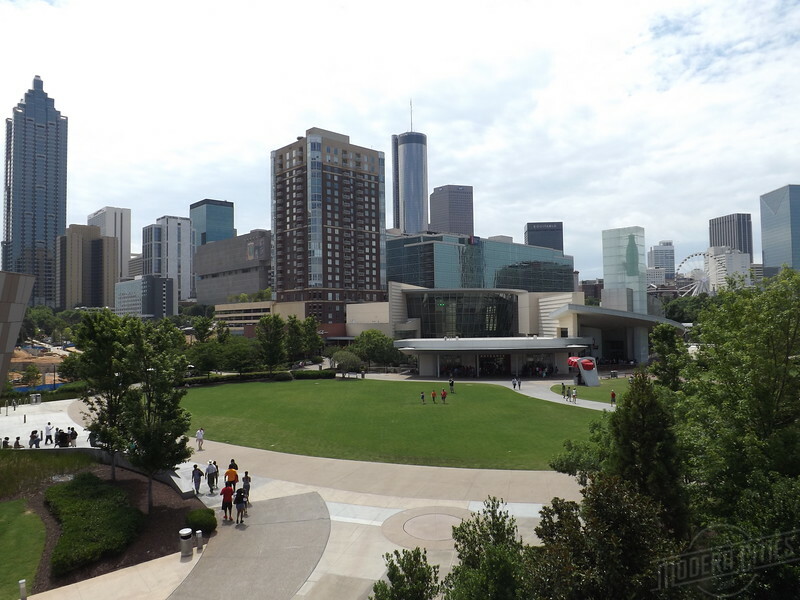 The Centennial Park District also serves as the west terminus for the new Atlanta Streetcar system.